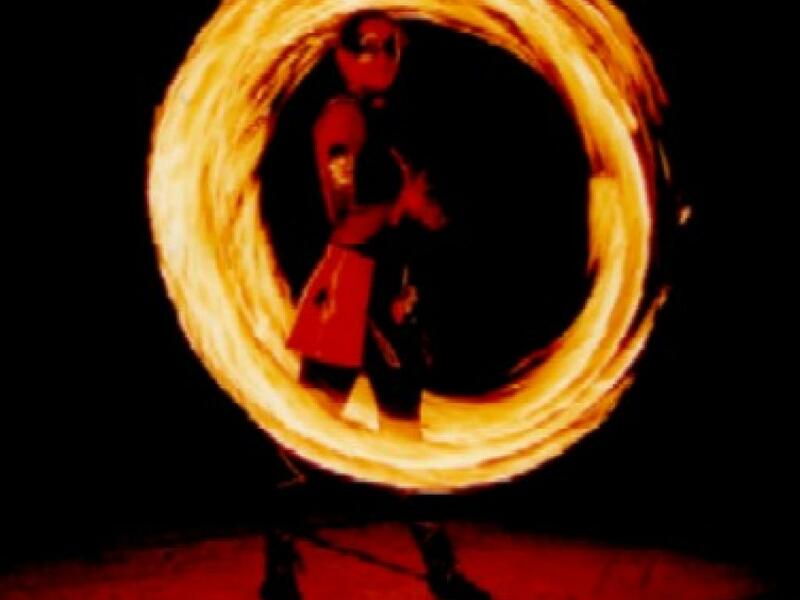 Roll up, Roll up... and welcome to the weird and wonderfully fiery world of Melbourne's Fireshows & Dancers. 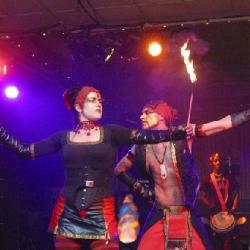 This is the home of cutting edge fire artistry and spectacular productions in Fire Circus and Fire Dance. 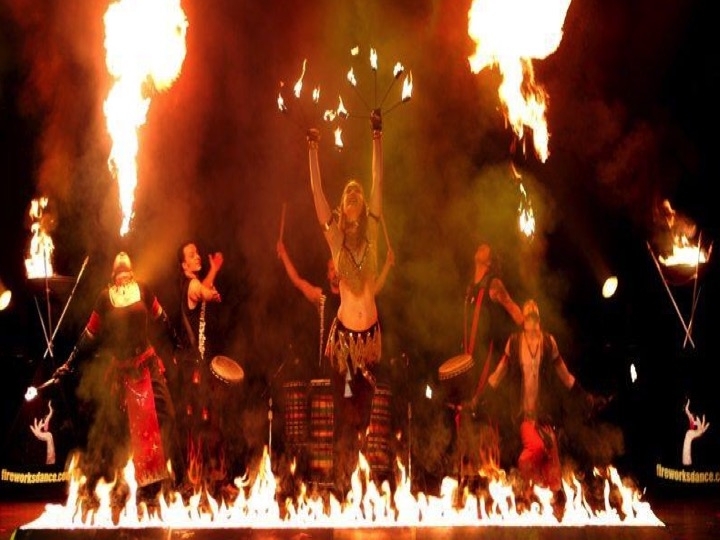 Melbourne Fireshows & Dancers are a unique blend of cultural dance, modern circus, sensual fire artistry, theatrical fireworks and uplifting music from around the world. This fiery mix combines to produce the most exciting and dynamic shows available today. 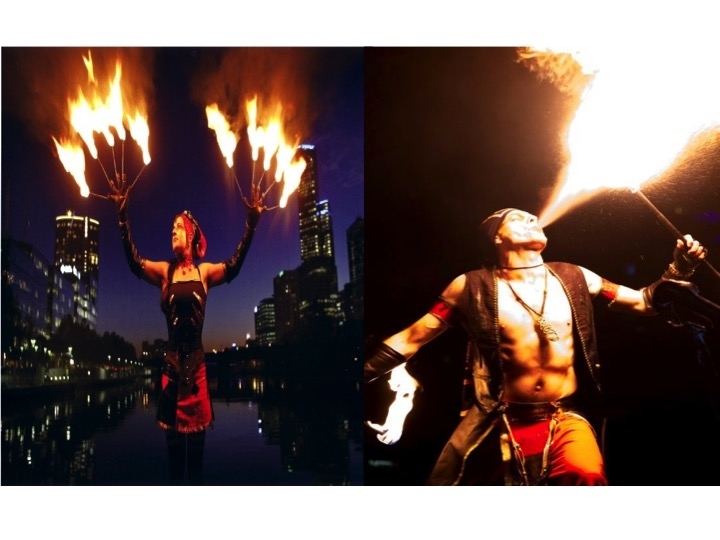 We are leaders in the Melbourne corporate entertainment and special events industry supplying the very best fire circus, fire dance and sideshow acts available. With a wide selection of solo and duo shows, group stage spectaculars, podium acts and roving entertainment, we have a show for any event. 95% of our performances are staged indoors, and no-one has more runs on the board at this difficult task than our crew. 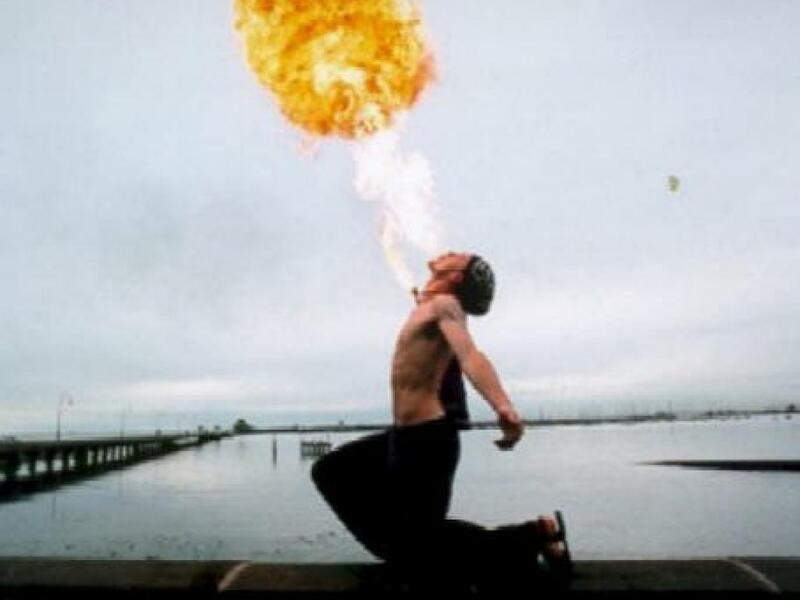 The oldest and most dangerous of the fire arts, fire breathing and fire swallowing have been around since the dawn of civilization. Nothing quite compares to the explosive force of a fire ball streaming into the air, a force you can not only see, but feel... If this show was a pizza, you could say it has 'The Lot'. 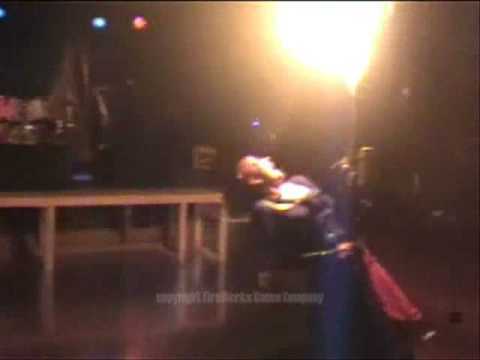 It's available as a solo or duo show and you get the fire breathing and fire eating combined with fire dance all in the one package. 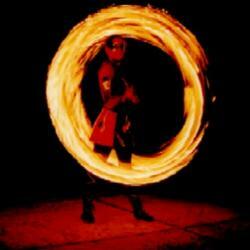 Djinn and Vyvyan play, lick, eat and co-noodle with the fire to execute seemingly impossible feats. They get the audience involved while they dare each other to perform more and more dangerous stunts. 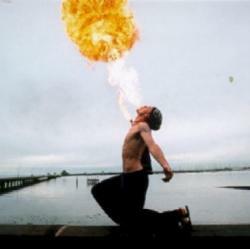 The audience's reaction to these real-life human dragons is as spectacular as the stunts themselves! 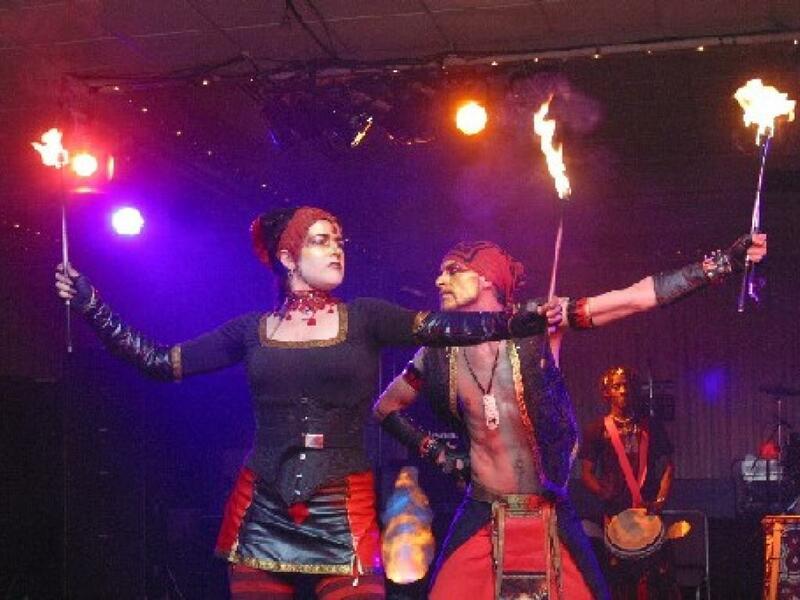 Circus inspired costuming and make up designs are combined with stunning visual effects such as Fire breathing, Fire eating, Fire Staves, Fire Poi and Fire Maces. The good old days of the side show are back and so are the cringe-factor acts that made people squeam and squirm. Renowned for it’s extreme fireballs and daredevil antics as either a solo with assistant or duo format, the Freak show takes the audience on a dicey ride that may or may not end up in tears….of joy naturally. In the Freak show a number of dangerous acts are on show such as Fire swallowing, Fakir (body transfer and trailing), Fire breathing, Angle grinding and the ever popular Bed of Nails. Throw in a bit of circus tomfoolery and you have a show that confounds and delights with thrills, chills and down right madness. The Bed of Nails is one of those acts that just seems wrong and when you see the antics that happen on it flesh piercing surface, you could be right. But include performing other dangerous acts, being walked upon and even being stood on, then you have a nail biting and squeamy display of will power. Erebus is like a descent into a carnival of the under-world, where audiences are submerged in a sweltering frenzy of fire circus and dance Erebus welcomes you with fiery fun and games before launching into a fire storm of swirling flames and radiant fire balls. 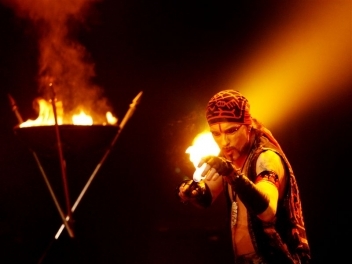 In keeping with the temperature on stage, Erebus is choreographed to a scorching soundtrack that fused together, produces the ultimate fire experience. 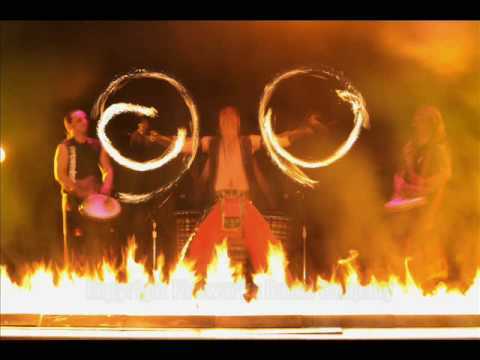 Erebus is available as a 3 piece show with a range of stunning fire effects. Pyrotechnic effects and displays can also be added to Erebus that are fully designed and produced in-house for a show like no other. High energy with a furious pace, Erebus makes the perfect memorable opening or grand finale and is guaranteed to leave an impression. Just ask anybody who has been in the front row of a show! For the past decade, Pyrorhythmic has continued to wow crowds all over Australia, and despite imitators, still sets the benchmark for this form of show. Pyrorhythmic harks back to the early days of fire dance when the founding crew would organize huge beach parties, attracting pyros and drummers from all over the country. This amazing vibe and feel was captured by Pyrorhythmic and brought to the general public where it's been a consistent hit ever since. And no wonder, with a combination of the finest African, Afro Cuban and Arabic drummers in concert with tribal fire dance from around the globe. 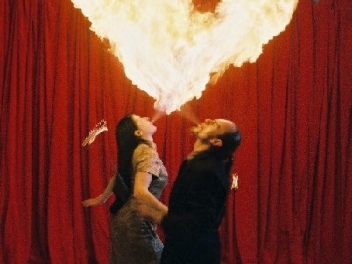 Further Performances include, Firedancing, Fire Breathing & Fortune Telling!! Enquire now for a booking! !